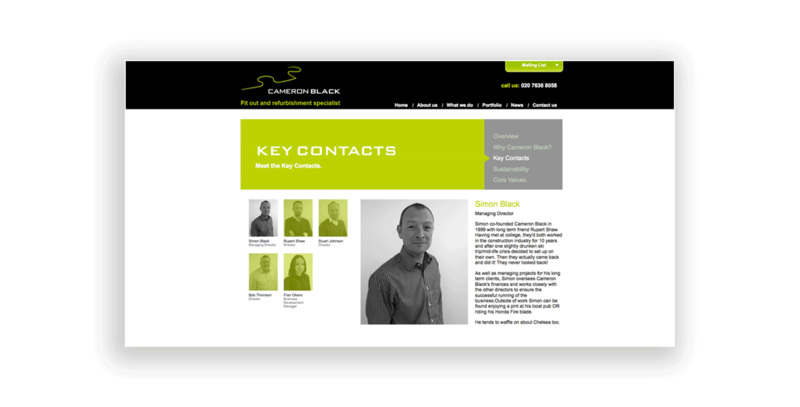 Our brief was to create a website for Cameron Black that had a WOW factor. 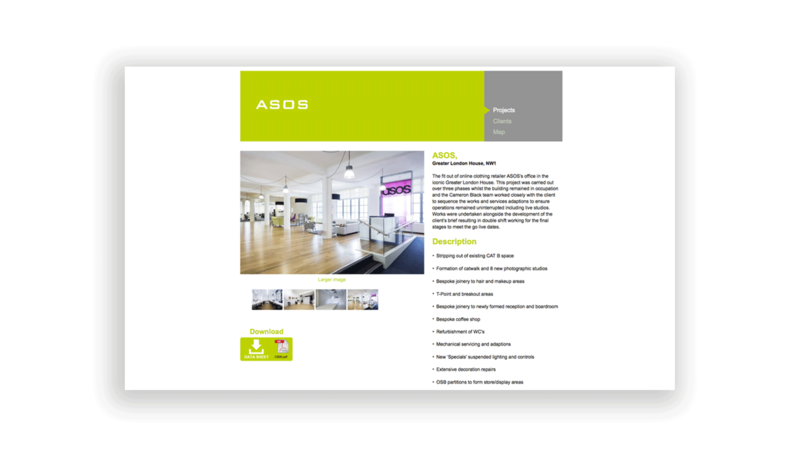 We decided that the best way to do this was to create a website that really showed off the great photos of the fantastic work that they produce. We achieved this by creating a scalable full screen cinema window. 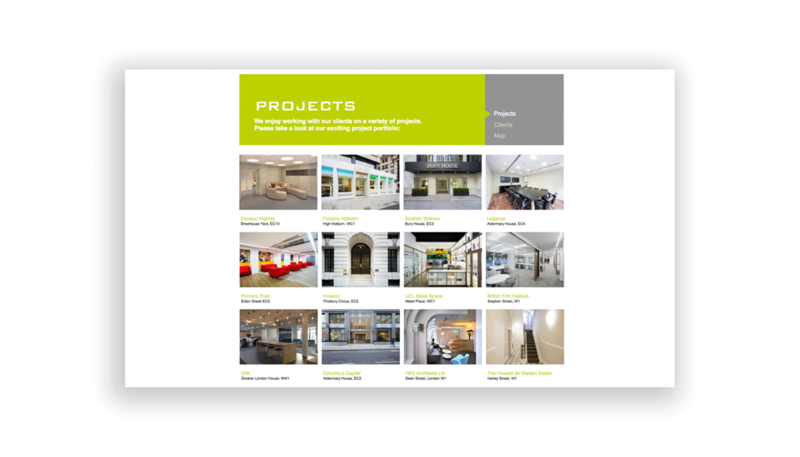 and a multifunctional project gallery that can be viewed either by project type, location map or by client. 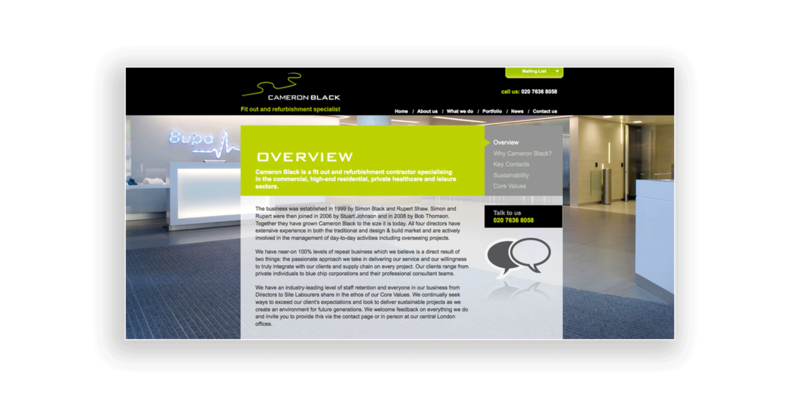 The site was first designed and then we built a fully bespoke Content management system which enables the client to easily add/edit portfolio projects and news items as well as add/edit all of the content pages. The site has also been linked to the social network tools with feed from Facebook and Twitter.